North Korea’s rocket launch last week caused Russia concern, but it’s important to avoid hasty conclusions, Russian Foreign Minister Sergey Lavrov stated on Tuesday. He further said it is necessary to examine the exact details of the launch. “We should avoid making hasty decisions. It is clear that the situation causes concern rather than joy. We would like to clarify all the details of the launch”, Lavrov added. “We want to call on all parties to stick to existing agreements and decisions of the UN Security Council. 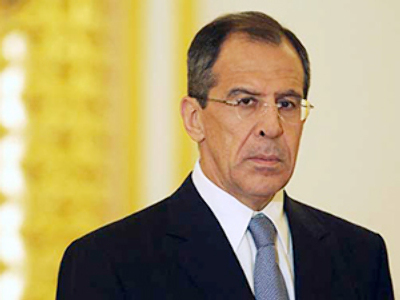 We would like to stress, in particular, the importance of resuming six-party talks as soon as possible,” Lavrov said. The fact that there are currently no six-party meetings, ‘does not add mutual trust’, he noted. North Korea's rocket test led to condemnation from countries such as Japan and the US, who call the move a provocation. They also say the rocket launch violates resolution 1718 issued by the Security Council in October 2006. The document provides that North Korea suspend all activities “related to its ballistic missile program” and “abandon all nuclear weapons and existing nuclear programs in a complete, verifiable and irreversible manner”. Pyongyang claims it launched a satellite, not a ballistic missile on Saturday. Although South Korea, the United States and Russia said no satellite reached orbit, North Korea insists the launch was a success. Russia and China say resolution 1718 does not forbid the launch of satellites, though there is a need to investigate the incident. The Chinese foreign ministry also said “the launch of a satellite is not the same as a ballistic missile or nuclear test” and “this problem also implies the right of countries to peaceful space exploration”. China believes that the UN Security Council “should be very cautious in reacting to the latest events”. Both Russia and China have a veto in the Security Council, so their stance can influence both the discussion and the vote at the UN.